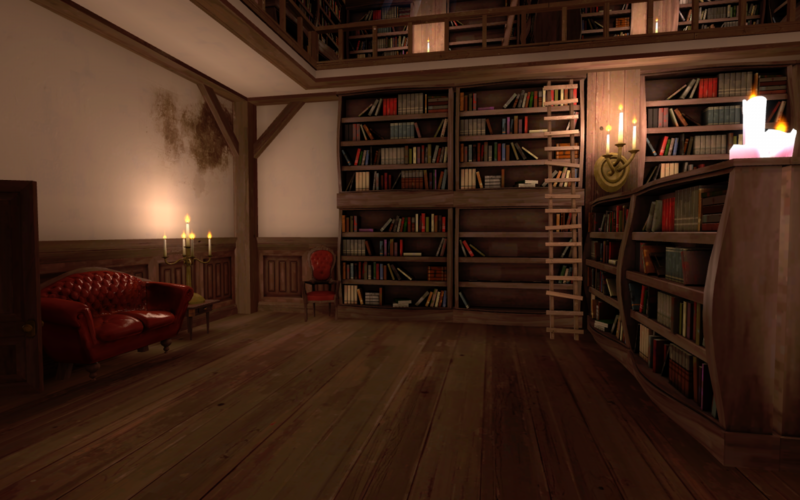 Umodel is a tool that allows you to extract content from Unreal engine games. You can find a list of supported games here. Copy the packages you wish the extract to the umodel directory. 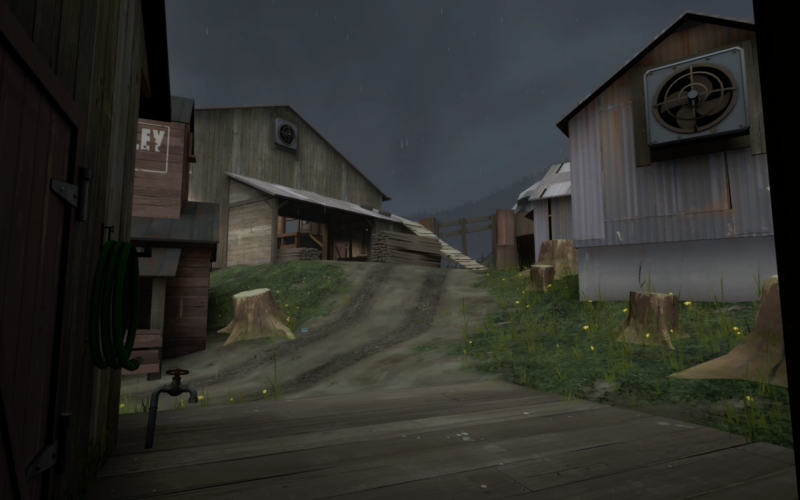 – Some games will require any TFC files (such as textures.tfc) to be copied too. These contain high resolution textures. 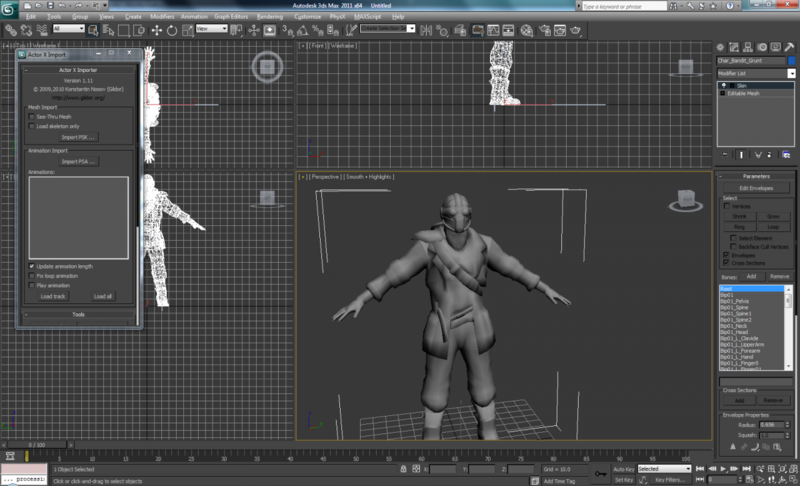 Open 3D Studio Max and run the script ActorXImporter.ms. Import the PSK file. 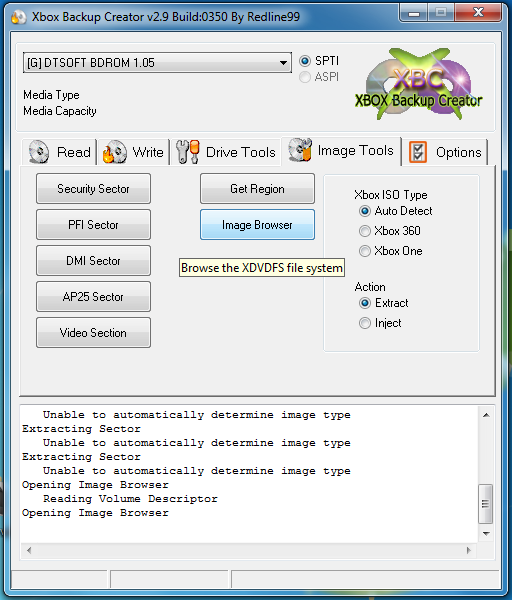 If you wish to extract multiple packages, you can use a batch file to automate this process. Copy the “BulkContent” directory to the umodel directory. Copy the .bsm file to the umodel directory (ex: 1-Welcome.bsm). Run the command “umodel.exe -export 1-Welcome.bsm”. 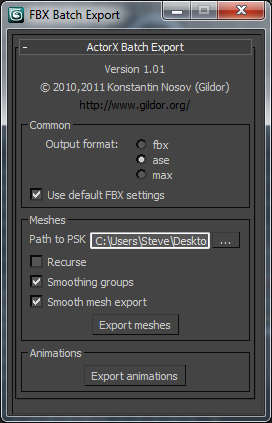 Import the PSK model into 3DS Max. Export as an ASE file to a new directory. Copy the toolbox folder to the directory. Export the Summary Info file in 3DS Max (File > Properties > Summary info. Press the “Save to File” button). Save to toolbox/summary_info.txt. Umodel now contains a batch exporter that can automate the conversion of models. More info can be found here. Select ASE as the export format. Select the directory containing the PSK (or PSKX) files. 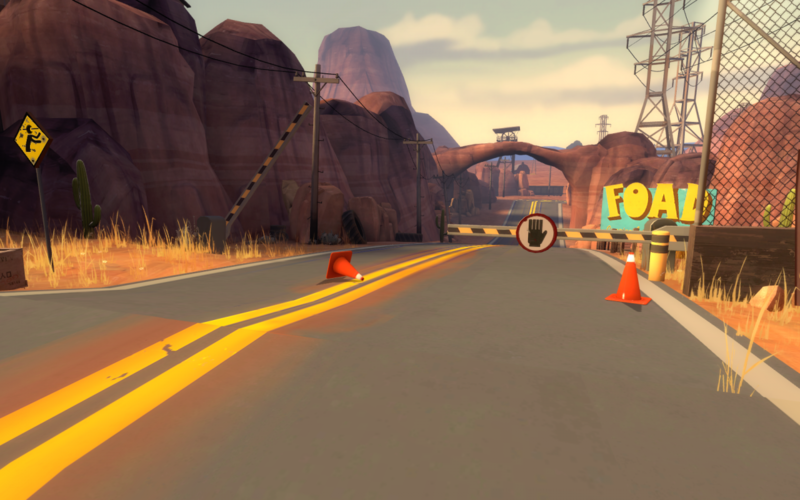 – The “Smoothing Groups” and “Smooth Mesh Export” options only affect FBX exports. Move the ASE files and the textures to the root directory. 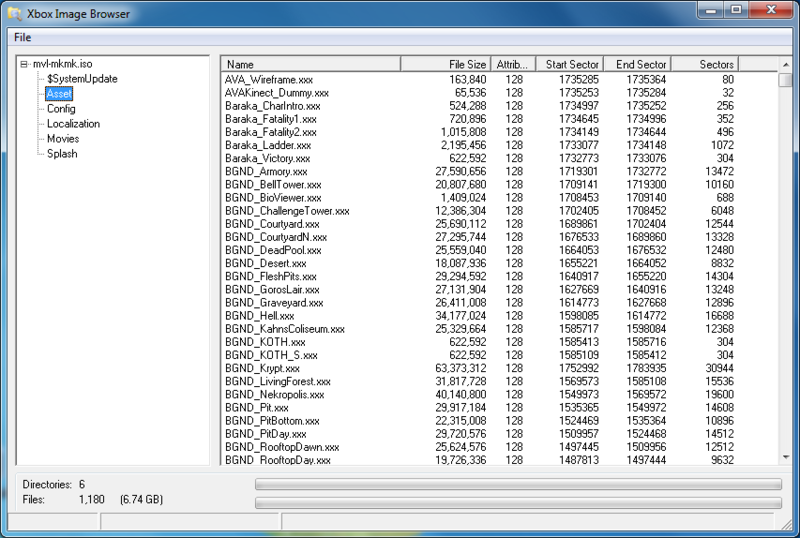 Run convert_umodel_to_udk.bat to fix the ASE files. Package files: *.upk, *.hmap (rename the hmap files to upk). Package files: *.me1, *.upk (rename the me1 files to upk). Where can I find the game packages? – Umodel will stop working if there are too many unknown files in the directory. You can make a new directory to work around this limitation. 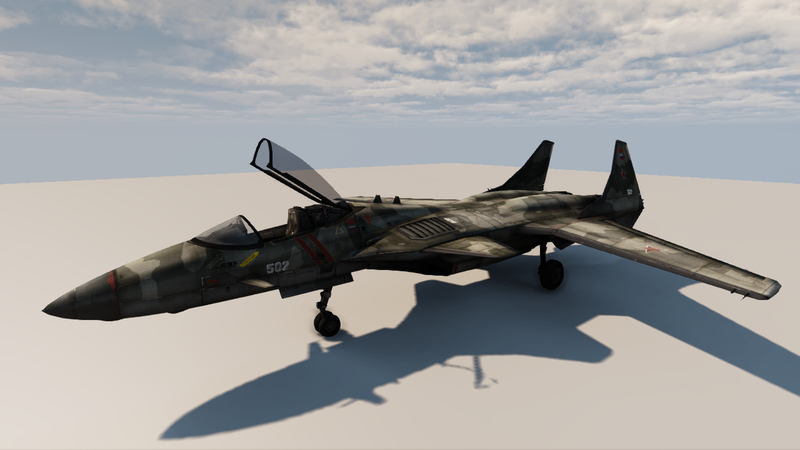 Can these models be converted to the Source Engine? – Yes. Once the model is loaded into 3DS MAX, continue by following the steps in this tutorial. Can sounds or FaceFX files be exported? Yes. Sounds can be exported with -sounds and FaceFX can be exported with -3rdparty. You can find all the command line options here. 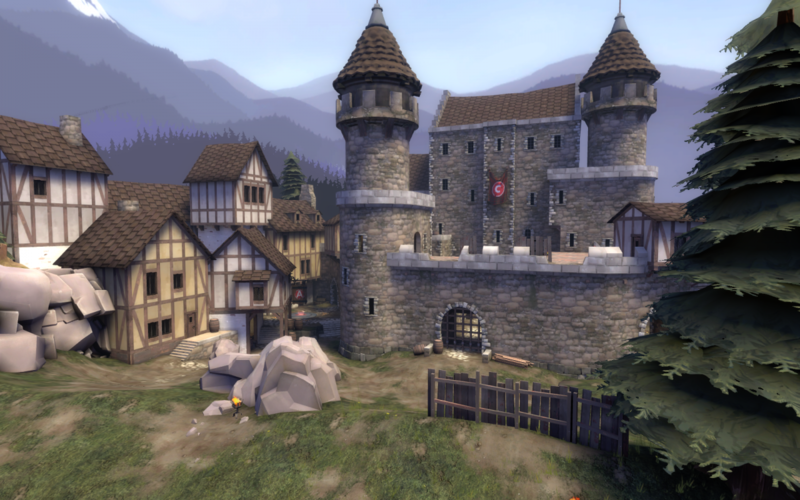 – AnimSet, SkeletalMesh, and Texture2D content can be imported directly into the UDK. – Uncooking will prevent duplicate models from being extracting. – Bulletstorm materials do not work. 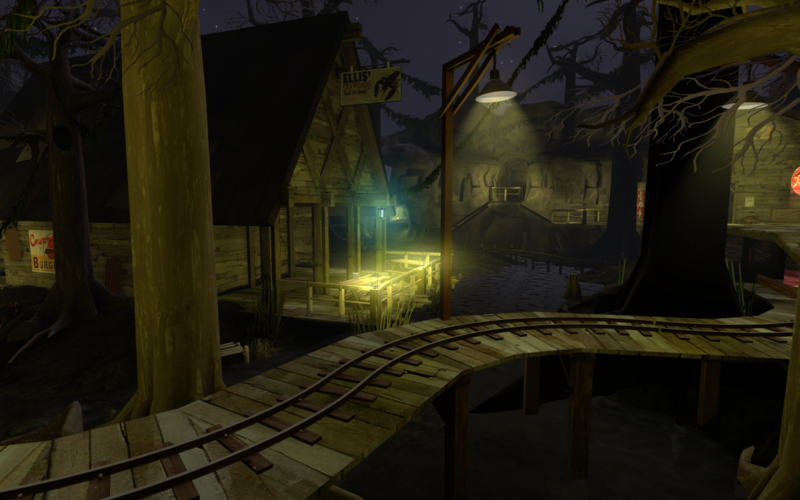 – It is possible to convert maps (and models) from a few Unreal Engine games. 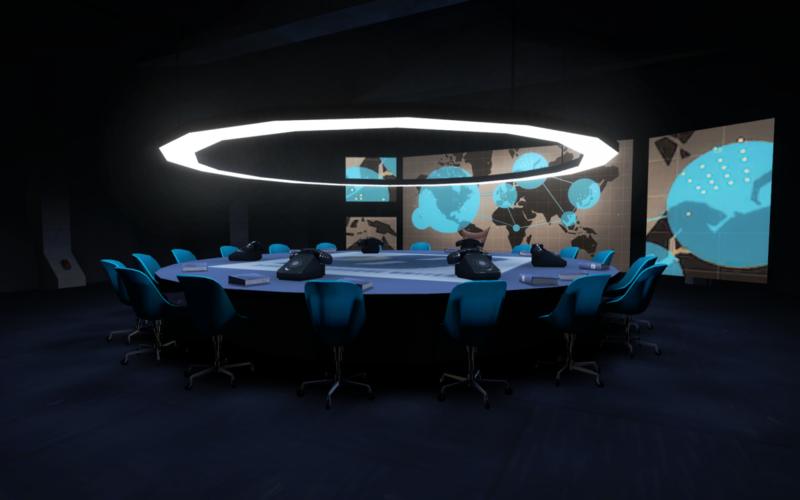 See Converting a Mirror’s Edge map to UDK. Some Unreal3 Engine games are for the Xbox 360 only. To extract the packages there are a few options. – If you recieve an “MSCOMCTL.OCX” error, see this page for a fix. Under the “Image Tools” tab, use the “Image Browser” button. Select the ISO file. Locate and extract the package files. At this point you can follow the Umodel steps above to convert the package files to 3DS Max. 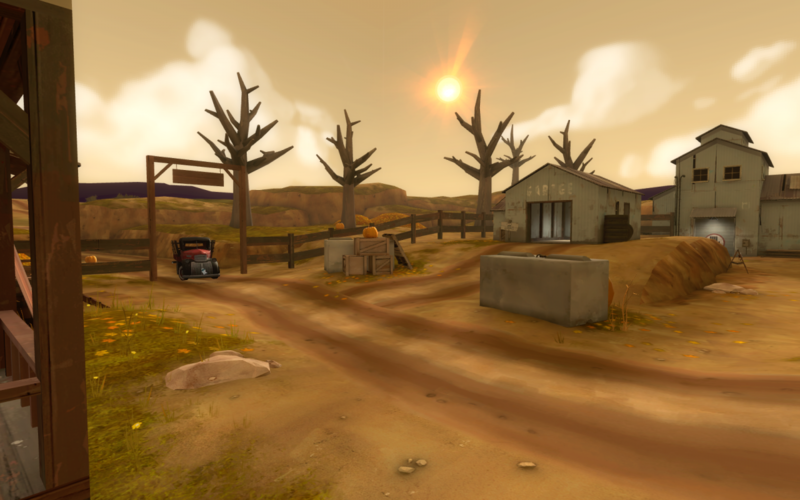 Team Fortress 2 has a unique visual style and a selection of original characters, which makes it a great choice for machinima. There are fewer command options than Half-Life 2, most noticeably the removal of NPC controls. 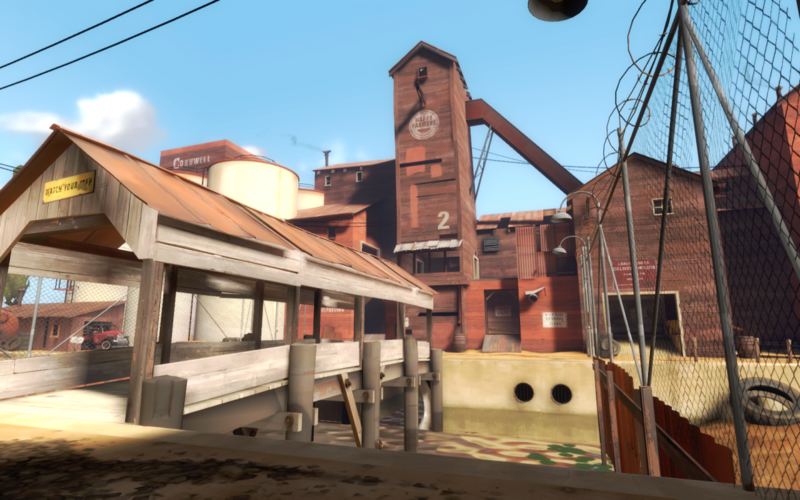 TF2 content works well in Garry’s Mod, so if you’re looking for more functionality options you may want to consider using it for filming. 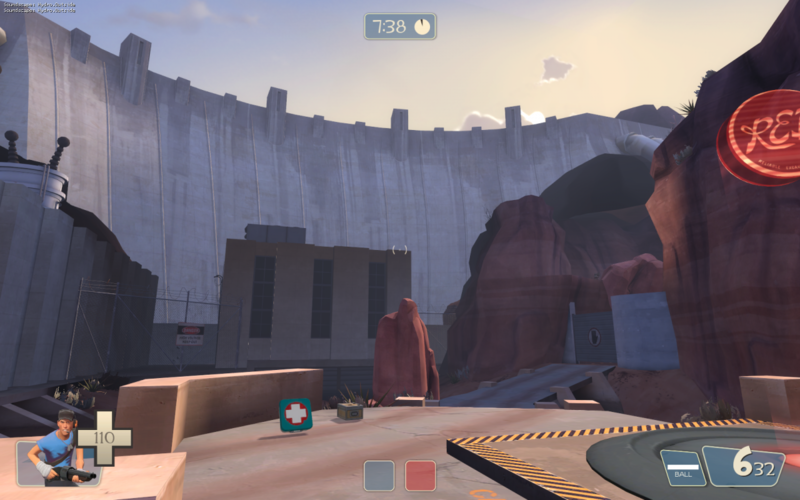 Noclip – Typing “noclip” in the console will allow you to fly around the map. Demo Smoother – The Source engine has a recording feature which I wouldn’t recommend for machinima, but may be useful for certain situations. 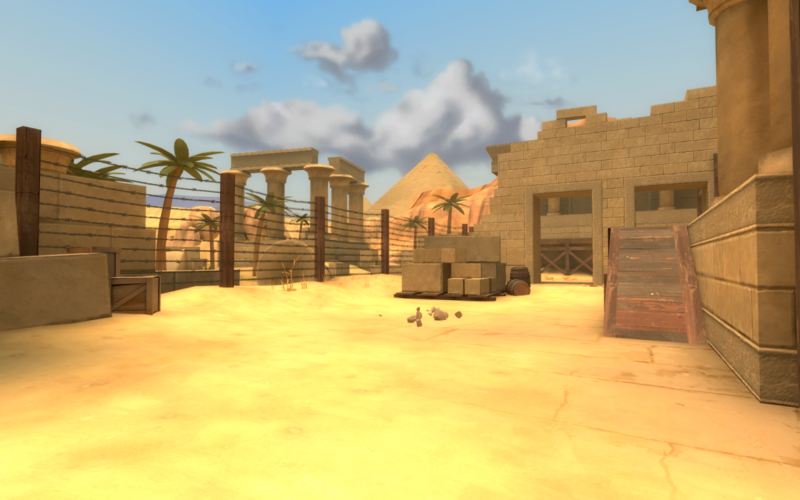 point_viewcontrol – Camera entities can be compiled into the map, however these are tricky to work with and require mapping knowledge to use. 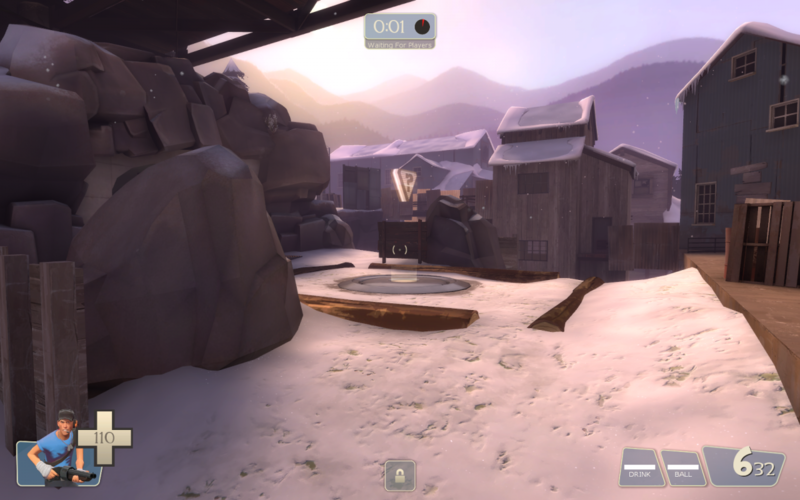 TF2 has the ability to spawn bots, which can then play VCD files. 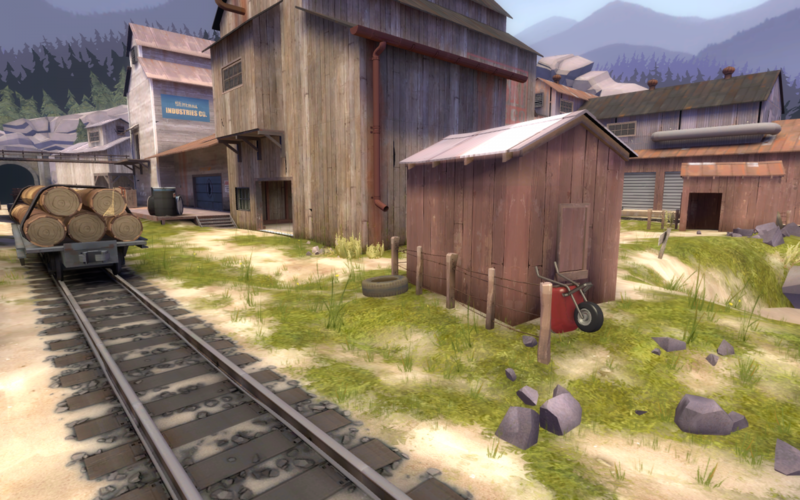 However, the bots are very basic compared to HL2 NPCs. Movement can’t be scripted and multiple bots can’t be controlled at the same time. It’s more of a test feature, but still has it’s uses in machinima. It’s a good idea to create binds for some of these frequently used commands. 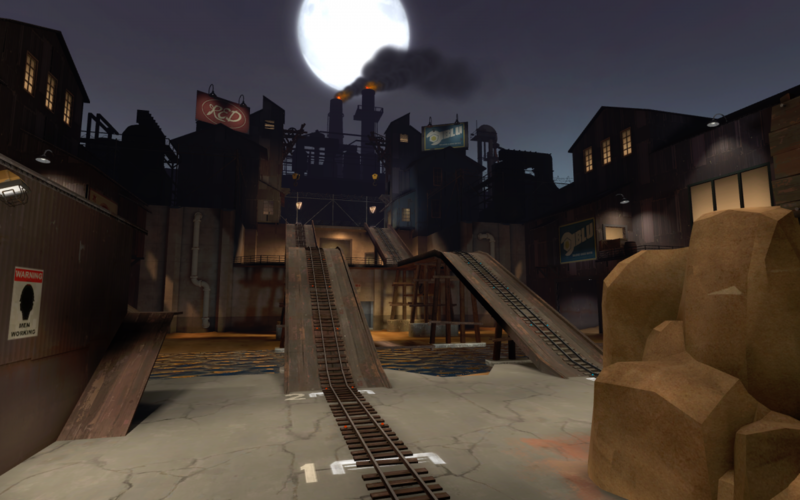 A few examples of TF2 maps with unique visual styles.